Sedona AZ – This is a city service provided to Sedona city residents only. Tree branch removal related to the February 2019 snowstorm is expected to continue for another few weeks. The amount of material collected thus far is significant. “Our inspectors measured the limb pile at our Brewer Road property at 140 by 70 feet and that area averages a fill height of 4 and a-half feet. That’s a lot of branches,” explained city of Sedona Right-of-Way Specialist Victor Estrada. The time frame for remaining collections is expected to be several weeks, depending on weather – rain and wet wood are not conducive to chipping operations – and the amount of debris that needs to be collected. 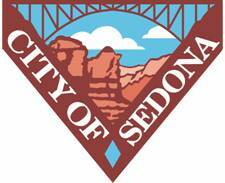 Some property owners who piled tree debris on or near their property will receive a notice that removal is their responsibility, not the city of Sedona. As read in this March 12 SedonaEye.com article, the city issued public notices and news releases on March 4 and 12 delineating the requirements for collection, which included street side placement no later than 7 a.m. on March 11, and prohibition of any material except storm-downed branches. To view an example of the notice which will be left at properties where debris piles do not meet city of Sedona collection requirements, visit https://www.sedonaaz.gov/Home/ShowDocument?id=36884. Thanks City of Sedona and Yavapai County for doing this for the residents. A welcome change to see residents tax money have a visible return. What about Broken Arrow Vista – Coconino County? Personally I paid $60 to have the branches removed from the front of my property on Cypress Drive because of a complaint from a neighbor. However other properties on Morgan Road have had debris from the storm (not yard cuttings) out for pickup since your announcement. So is Coconino County no longer part of City of Sedona? What does you paying 60$ in the past because of a complaint have to do with “debris “. Still on Morgan road from the storm(s). What type of debris is it? Branches and such? Also why are you posting this on Sedona Eye? Why not call the city??? Our highly paid professional staff. And why, Lisa, would I call the city after having paid to have the downed branches removed from my property? And, yes, Lisa, the branches were definitely a result of the recent heavy, heavy snowfall. And the tree service I retained was not “from the past.” It was because of the storm on February 28, 2019. The complaint was from a neighbor because one of the large branches broken was from a tree on my property which fell into the street. Although not completely blocking my street, it was my own decision to contact a tree service because it was far too heavy for me to move. And how do you know I haven’t contacted the city about the branches on Morgan Road? Any more questions? The snow storm to which I made reference was on February 21, 2019, (not Feb. 28). The same City management that put out that idiotic ” your tree debris does not comply” memo will be in charge of height restrictions. They will continue to stay at the Ritz Carlton and give themselves lavish salaries, car and phone allowances. I was quite happy with the storm debris removal.. It saved me from a dump run to Cottonwood. Don’t know what all the complaining is about over this very simple matter. Sounds like someone has a grudge. Well, Lisa, against my better judgment, here’s the deal. Big snow = Thursday 2/21/19. Early evening on Friday 2/22/19 (much to my surprise due to the amount of snowfall) a lady came to my door and handed me a card from a tree service company suggesting if I needed assistance to call them on Monday, 2/25/19 – which I did, thus explaining to my agitated neighbor that until after the weekend I couldn’t do much about the situation of the tree in the road. The tree lady’s husband came to my home on Tuesday, 2/26/19 to assess damage from the storm. It was at that time the gentleman was generous enough to relocate the large tree branch to in front of my property since I had been unable to move it. Yes, Lisa, at 101 lbs. the last time I weighed in at the doctor’s office to maintain my primary care physician as my medical insurance requires, that’s what I weighed and I invite you to drive my house and check out the huge tree on the south side of my property next to a drainage wash and decide if you, yourself, would even have the gumption to attempt to relocate a downed branch from that tree. Further, the day of the official appointment with the tree service was on Friday, March 1, 2019, and if the city had made notice of their offer to remove debris from that storm before then kindly produce proof. Therefore, the reason for my initial comment was to point out the very large branch in the street as well as many other downed branches had been taken care of prior to the city offering their services. Are you suggesting it would have been more prudent for me wait for an unexpected offer from the city to remove storm damage instead of taking steps to avoid a potential hazard? As for my reference to neglect in the Coconino portion of incorporated Sedona, all too often it remains an apparent oversight that we are are a part of the city. Everything all the time is about Yavapai County without giving a thought that UPTOWN Sedona is, in fact, located in Coconino County. It might be interesting to find out how much city revenue comes from this side of town. 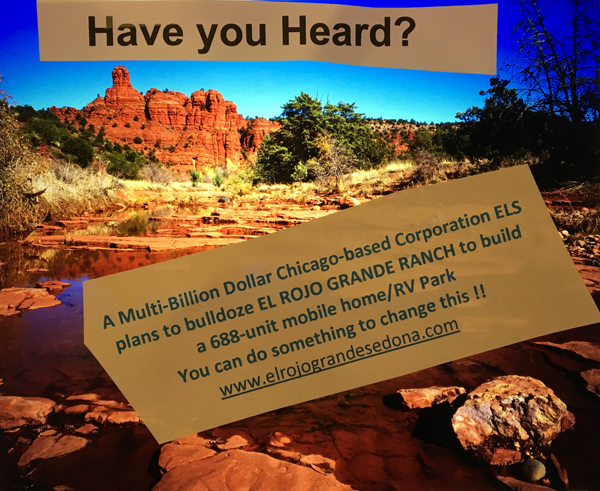 It wasn’t until after incorporation West Sedona began to expand. Prior to that and with the exception of what was once called “The White House Inn” all lodging and resorts were on this side of town. Food for thought? Probably not. Tsk, Tsk – poor girl. When did Mrs. Maddock say or indicate the giant snow storm was the fault of the city? In reading her initial comment all she wondered about was some sort of time frame when debris might be removed from Morgan Road since apparently she personally arranged for removal from her own property. The above city article gives no indication of when Morgan Road, a direct route to a USFS trail head, might be serviced. And another valid point was the lack of attention to Coconino County from the city. A legitimate question? Most might think so unless their agenda is someplace in outer space. It seems, Missy Lisa, for some reason you are consumed with displaced anger against Mrs. M. Or maybe you’re just another Sedona Whack-Job? Have you considered therapy? There’s no shame in doing so. Residents beware. The above article leaves loopholes for collecting what “they” consider isn’t debris from the storm. As the piles of broken limbs wither and disintegrate as the weather continues to warm up and the city gets further and further behind in with their “free” service, be prepared for a notice to assess you. Translated: Send residents a bill for what is now being offered as a free service depending on whether or not “they” think all the debris is from fallen tree branches. Let’s face it – that exorbitant amount of money they give to the chamber of commerce for yet to be a viable report on ROI (return on investment) has never occurred. If they took the money and put it to where it’s needed in Sedona all would be better off except, of course, those operating the “regional” chamber of commerce. Should be a no-brainer. HA – not in Sedona. My debris got hauled away with no problem… You must not of read the memo. So let me get this right, you don’t like that they came quick enough to provide you with a FREE service to clean up after one of the biggest snowstorms to hit us in 40 years and you’re b*******? Then you correlate that to the CoC??? Give me a break. I agree with Jonny K, you didn’t read the memo or you’re full of you know what. Tell me, where did the City steal the money from to provide this FREE service? Somebody always pays, and the MOST the tourists could pay of city expenses is 38%., if residents paid NO sales tax. Well actually it was s free service for ypu(if you even live in Sedona which I doubt). Thank you very much for offering your negative remark relating to Sedona residents. You proved a point in addition to verifying the main reason so many of us shop in Cottonwood. You resent us so why should we contribute to city taxes? Nice job. Also has anyone else picked up on the surge of negative comments on Sedona Eye? Think it’s a campaign to shut ‘er down? We residents pay. It goes to show you how the the city wants to suppress the residents put them down make them feel second class. The facts are the regional chamber does not contribute 1 cent of any city tax. The 20 million the city gifted them came from the hard work of WORKERS sweat and tears. The city has managed to INCREASE the COST of living. All the workers have to work 2 -3 jobs to stay here. The overhead is being driven up by Tourists who bash and go. Property tax rates are higher than orange county california. So, let’s clarify that a bit. The free service was 70% funded by tourists and 30% local sales tax. Not a single penny of Sedona property tax (since we don’t have a Sedona city property tax) went into the funding of that free service. It’s so sad that so many are ungrateful for the services that you receive. 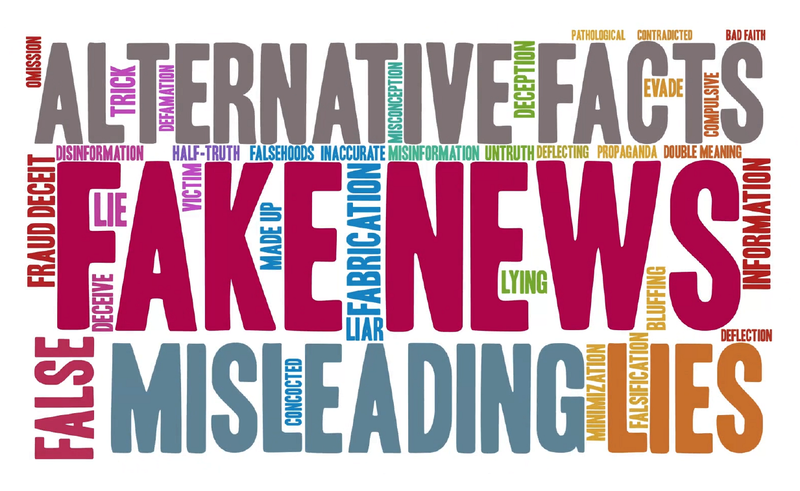 @To FREE service,, same old lies, the MOST tourists can pay of city expenses is 38%, and that is only if tourists had no costs, the city did not give $2.45 million to the chamber and locals paid NO sales tax. So in fact tourists probably paid nothing and you just got some visible return to the taxes residents paid. That just shows how bad things are, when ANYTHING done for the residents is presented like it is something special. If the service were FREE then the city wouldn’t have shelled out $50,000! What was the source of that $50,000? Did city council members generously donate? And the compensation city council members receive every month? $1,000, $800/, $700 per head? Is that also “free”? Did they chip in from their own budgets to pay themselves? In a way, yes, because it all comes from taxes which we ALL pay. City manager and staff wages – where does that come from? More “free” services? Of course not! As for no city property taxes, yer darn tootin’ that’s correct! Sedona would NEVER have become incorporated if that hadn’t been tossed out from the get-go even as a possibility. And to implement it now would require a vote of the people. It seems as if those in charge (city staff and city councils) had any positive feeling about making it a successful ballot measure in order to gouge Sedona voting residents even more it would have happened a long time ago. And if it does ever make it to the vote of the people let’s hope good sense will prevail and it will continue to be soundly rejected. The half empty crowd… LOL and oh so predicable. Something is being overlooked here. This city of Sedona does, indeed, benefit from the property taxes we pay to respective counties: Coconino/Yavapai. For example, Coconino County has allocated hundreds of thousands of dollars over the years to benefit flood control to name one. And where does that come from?? Comes from our assessed property taxes. @Gretchen, now isn’t that a positive happy bit of factual news to chew on? You should be grateful for your bowl of slop slaves, you should be grateful we don’t take all your money and give you nothing. LOL and oh so predictable. Wow all of this malcontent cause the city picked up branches after a storm.. Seems like one needs thier head examined . Only “one” needs their head examined? Seems to me that’s an understatement although it doesn’t seem fair to lay it solely on “free” debris pickup. That is a bit misleading and an understatement. Indeed we do pay city taxes – maybe not on our properties. However, as someone pointed out, the counties to whom we do pay property taxes return some of our “investment” to City of Sedona. Can that be said about the millions of $$$$ they give to the chamber of commerce – allegedly for destination marketing – which never has been proven as beneficial since Sedona was discovered many years before these rip-off artists came to town? And this giant size free money give-away (city tax revenue) will presently be transferred for a ridiculous endeavor to justify that absurd amount for “sustainability”? C’mon . And some of you wonder why there are those of us fed up about the nature of a free pick up service of storm debris? This isn’t to say it wasn’t a kind gesture – BUT – nothing that even comes close to the “free” money given to the chamber without one wit of a creditable return on investment if any at all. So slam us, you critics of Sedona Eye. It’s been called to my attention this is also occurring on another competitive web site. Silence is what they would like. A good reason to keep them from flooding the recent comment section in order to avoid competition. Sounds like maybe desperation to clog the list to divert readers from seeing anything in opposition to their rants against Sedona residents. That’s good – proves our point! 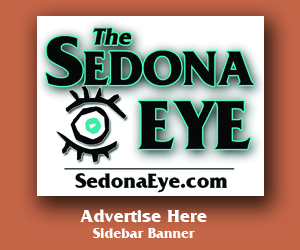 The city of sedona gets money from state from the taxes the RESIDENTS pay. Just stop the nonsense chamber – city managers – City council – rrn you can never rationalize such bad behavior. Looks like ONE needs thier head examined . Funny stuff. All this fault finding over branches… oh yea don’t forget to throw a little C of C malcontent whoever the ONE is. Oh yea she did that already. Ad nasuem. Those who comment here and cry boohoo, ad naseum, malcontents, etc. fail to admit the tree removal “service” provided by the city was not, in fact, “free.” Just because specific charges weren’t levied on private properties does not alter the FACT the service cost the city (taxpayers) $50k for the contract with Tiffany.